Tenpin bowling, a sport generally better known to those who have played it than those who have watched it, has garnered a lot of its spotlight from pop culture historically, with TV shows like The Simpsons and Roseanne depicting the game as a comically suburban pastime for your average Joe. But the image of bowling in Australia today is sprucing up considerably. 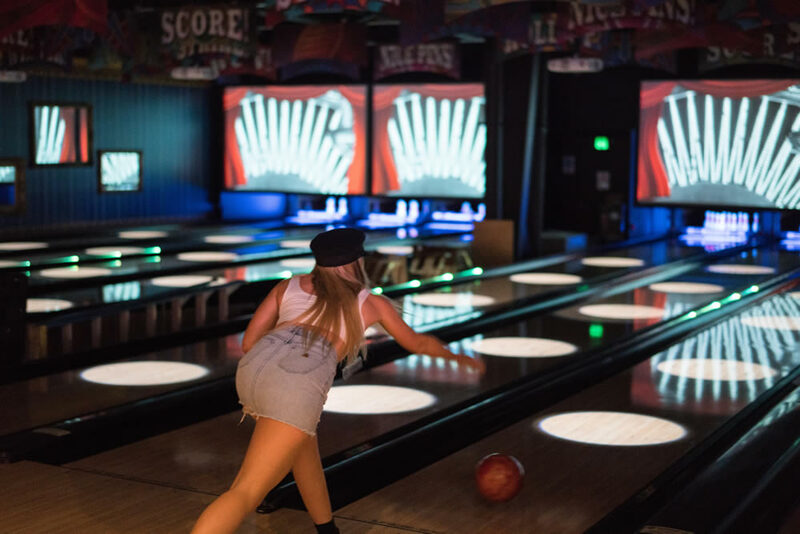 In Sydney, whilst it’s still easy to find retro-inspired or old-school bowling alleys with shrunken hot dogs and Street Fighter arcade games, many tenpin bowling destinations offer broader entertainment experiences and deluxe ambience. Whatever end of the spectrum you lean to, from Song Hotel in Sydney, you’re spoiled for options. With its fluoro lighting, licensed bar and all-out stereo system, Kingpin Darling Harbour oozes glitz for early adults but still accommodates teens, kids, corporates and families too. Tenpin bowling is definitely front and centre here. There are 20 high-tech lanes and they feature the likes of alternative gameplay options, in-lane service and social media connectivity. Your needn’t have the same experience each time you visit either, given the options of other entertainment activities including laser skirmish, arcade gaming, table tennis and pool. There’s a cushy cocktail bar to settle into to marvel at the harbour scenery too. Manhattan Superbowl is a retro-themed bowling alley with a neon entry sign crowing there’s a time to have inside. 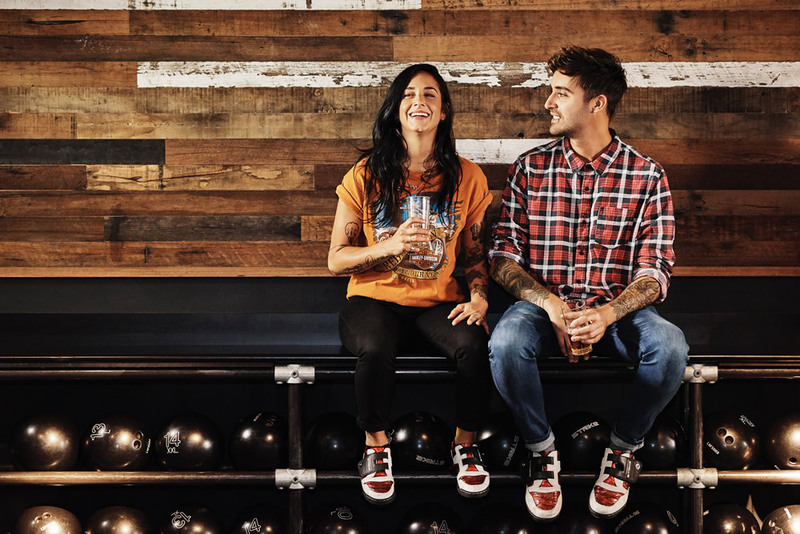 The 24 bowling lanes here mix with rockabilly memorabilia and the twinkle of disco balls to project a photogenic setting that’s been captured in various celebrity shoots. Outside of Big Lebowskiying your way around your lane, you can bosh what’s going at the checker-tiled Stardust diner, down one at the Pontiac Bar or find an arcade game that was probably around when your parents took you bowling. Manhattan Superbowl is joined at the hip with the neighbouring Newmarket Hotel, which makes for a beer ‘n’ bowl entertainment stop full of frivolity. 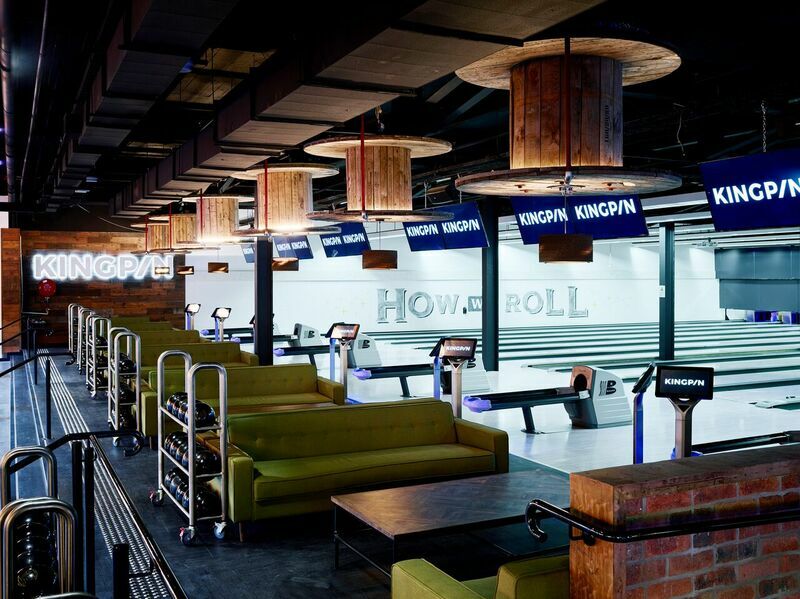 Located amongst the picturesque surrounds of Sydney Harbour, Strike King Street Wharf is one of a dozen Strike bowling centres breathing new life into Australian tenpin bowling this century. Bar-and-kitchen lane service, colourful effects lighting and dialled-up music all signal the blockbuster entertainment experience Strike King Street Wharf deals in. The venue also extends itself to an escape room, laser tag, karaoke and a harbourside lounge bar that’s prime real estate for cocktails and champagne. Archie Brothers Cirque Electriq is first and foremost an entertainment emporium. Another establishment of mini-golf bar founders Holey Moley Australia, the large funhouse operates in a warehouse space that features an eccentric carnie-themed cocktail bar as a centrepiece. Look around and you’ll quickly discover there’s a nifty tenpin bowling alley kitted with plush lounge chairs that make regular transitioning between spectator and bowler breezy. The menu, with its alcoholic crazy shakes, Big Bird Hot Dogs and sauces by the syringe, is a mind-bend but the decisions don’t stop there. There are the dodgem cars, arcade games and laser tag to contemplate too. With tenpin bowling, darts and pool tournaments regularly happening at Tenpin City, this is a good place to stoke your competitive urges. 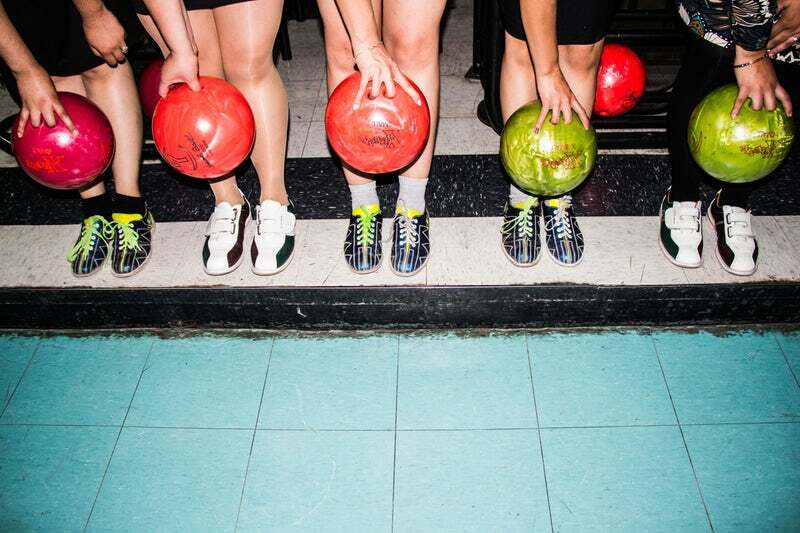 There’s a whiff of bowling’s yesteryears palpable in Tenpin City’s air but the venue has modernised its facilities and gear to meet the expectations of the contemporary tenpin bowler too. Pit stop at the licensed pizzeria for a wood-fired pizza that will energise your performance as the bowling shirt sets in the neighbouring lanes eye your form.